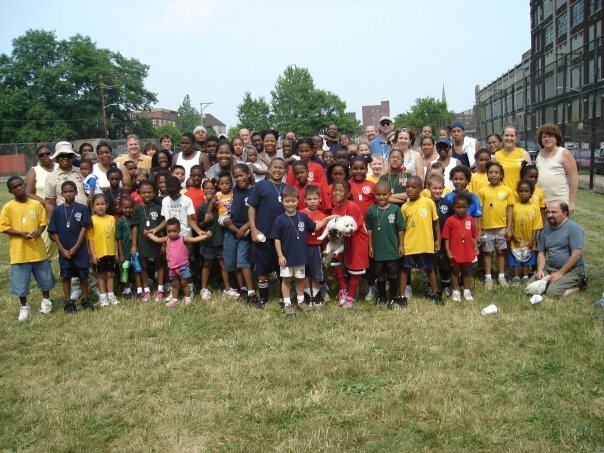 In 1999 YESAC (Youth Enjoying Soccer Athletic Club) was formed to share the love of Christ and the game of soccer to urban communities in Pittsburgh. Our original partnership with the Pittsburgh Youth Network allowed us to share our vision and start our first programs in the Hill District and on the North Side. Additional partnerships were formed with the Urban Impact Foundation, Eastminster Church and the Open Door Church which allowed us to lay the foundation for our community programs. With continued growth and expansion in 2005 YESAC decided to merge with Ambassadors In Sport International and become AIS Pgh. This has helped expand our local programs and allowed us to be a part of an international soccer ministry. 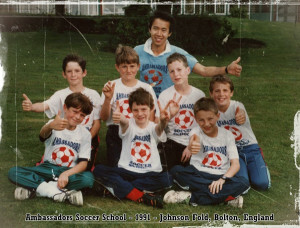 In 2013, AIS was re-named and re-branded as Ambassadors Football for the purpose of unifying all of the ministries in the 23+ countries currently served. We are now officially identified as Ambassadors Football Pittsburgh. Since our merger and with the vision of Lenny II, Ambassadors Pgh. reaches hundreds of local kids from over twenty countries yearly through our community Academy Programs, winter Futsal, Summer Camp, Travel Teams along with many other programs. Looking to the future, Ambassadors Football Pittsburgh’s goal is to give glory to God by providing high quality soccer training in a fun environment that promotes player and team excellence in the game and in life. In 1990 Ambassadors Football began as Ambassadors In Sport (AIS) in Bolton, England. They continued as AIS until the current name was adopted in 2013. The ministry was founded by a group called Missionary Athletes International focused from the beginning to partner with churches and Christian organizations to develop grass roots football ministry. To this day the work continues on through football camps, clinics, prison ministry, school ministry, men’s and women’s teams, international tours and major event ministries at the World Cup and Olympics Games. Ambassadors Football now has offices around the world and through diligent prayer, calling, and research continues to expand each year according to the Lord’s will.